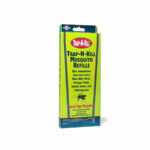 Monitor and control small flying insects such as aphids, whiteflies, thrips, fungus gnats, scale insects and other pests in gardens, homes and greenhouses. 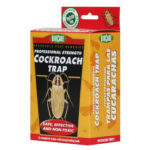 The special yellow color attracts the insects to the trap – the powerful glue kills them. 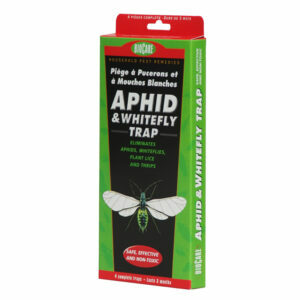 The glue is vegetable-based, not petroleum based like other brands, and we use a paper backing, making the whole trap composable when full of insects. 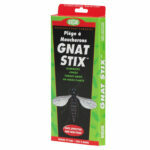 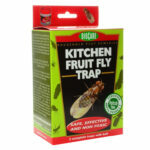 Package contains 4 long-lasting sticky traps.